GPI (Global Poker Index) has been doing a great job recently, releasing a weekly update about tournament poker players and their performances. One of their lists is changed every year, and it is called Player of the Year list. Basically, they calculate the best performance and decide who has the most GPI Player of the Year Score. GPI released the latest update on March 6, and the results are quite interesting. Let’s take a look at both the GPI POY Score and Overall GPI Score and discuss them a bit. We are only the third month into 2019, and there are already some favorites among poker players who are likely to win the POY award this time. 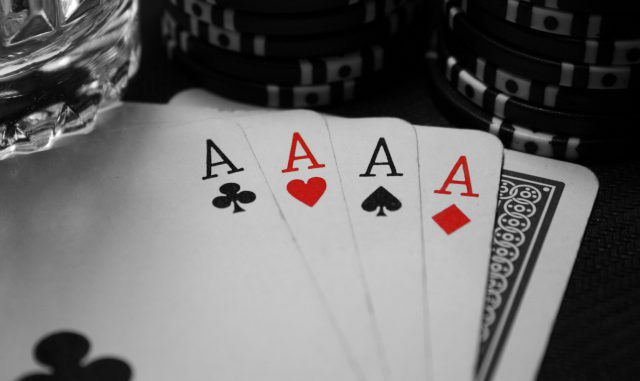 However, there is still a lot to do in 2019, with some of the most important poker tournaments ahead of us. The year started pretty well for Rainer Kempe, who emerged in the first position in a very short time. He was followed by Jack Salter, who also had some outstanding tournaments behind him. However, things changed when Sean Winter entered the game, as he managed to dominate the 2019 U.S. Poker Open, being a part of five final tables during that tournament and even winning USPO $10,000 Short Deck Poker event. Before he topped the table, he was in 25th place, which means that he had made a 24-place jump only by playing one tournament. Another successful player who made it to the top is Bryn Kenney, who is currently located on the third place, having given an excellent performance at the USPO as well, winning the USPO $25,000 No-Limit Hold’em event. Therefore, the first place is currently occupied by Sean Winter, who has 1919.38 points, and he is followed by Rainer Kempe (1610.25), Bryn Kenney (1515.26), Jack Salter (1463.21), Stephen Chidwick (1461.56), Toby Lewis (1435.53), David Rheem (1351.81), Sam Greenwood (1302.08), David Peters (1281.05) and Danny Tang (1266.64). The top-ten overall leaderboard is calculated by a very specific algorithm that takes into account performance by players in the last six and a half years. According to GPI, Alex Foxen is in first place with a total of 3919.98 points. Foxen himself also had a decent start of the year as he managed to make it to the final table at a PLO event which was a part of the Aussie Millions series, and even made it to the final table once in USPO. He is followed by Stephen Chidwick and David Peters, both of whom were leaders on the GPI overall leaderboard at one point. At the moment Chidwick has 3754.95 points while Peters has 3675.48 points. Other players who are in this list are Rainer Kempe, Justin Bonomo, Steve O’Dwyer Jake Schindler Bryn Kenney, Sam Greenwood, and Ryan Riess.